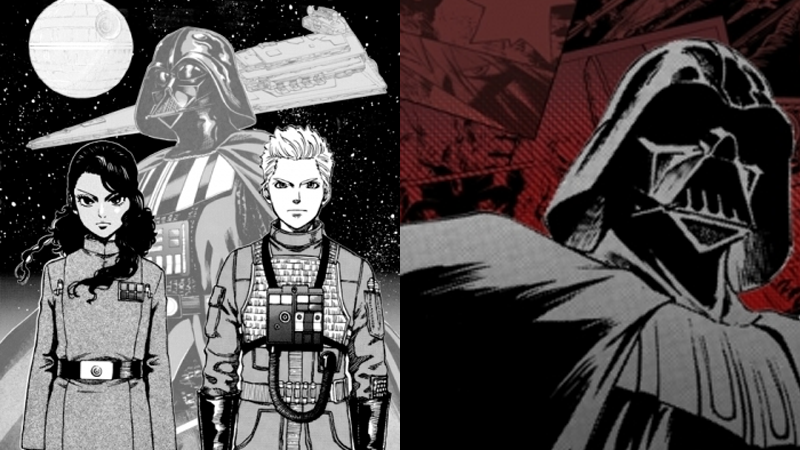 io9 reports that the Claudia Grey Star Wars novel Lost Stars is becoming the basis for a new digital Manga series available for free through the popular Manga app Line. This novel is by far the best of the new canon books and an excellent jumping on point for new readers. The book follows the perspectives of Ciena Ree & Thane Kyrell through the course of the Galactic Civil War. It begins at the conclusion of the Clone Wars, takes us through all the major events of the original trilogy and even the Battle of Jakku, that is referenced heavily at the beginning of The Force Awakens. The series will be illustrated by Avengers zombie manga artist Yusaku Komiyama and will begin begin released bi-weekly on May 4th.